Learn How to Start Your Own CBD Business From Home	Beginner Friendly, No Experience Needed, & No Inventory! INCOME DISCLOSURE: Some members of our 90-Day Challenge may choose to become affiliates to promote and earn income with our system. Some affiliates may earn no commissions, some may earn small commissions, and some may earn large commissions. The one thing we know for sure is that the results will vary. If you choose to join the 90-Day Challenge as an affiliate, we cannot guarantee your results in any way. Read the official MDC income disclosure statement here. 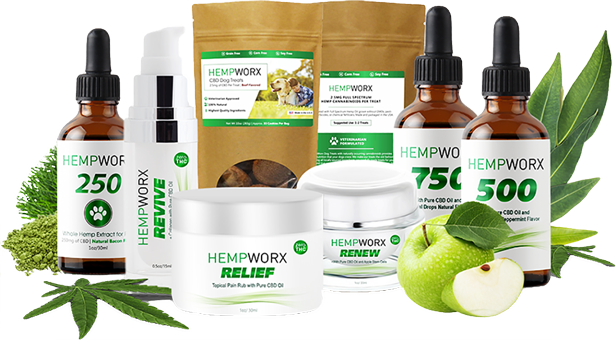 * You will be automatically enrolled in the 90-Day CBD Challenge AND with our CBD affiliates partner program HempWorx / My Daily Choice as a pre-enrollee. Opportunities like this only come along once in our lifetime. Literally, we are at the perfect moment in time before CBD Oil reaches mainstream momentum. It’s similar to being in the right place at the right time for the dot com boom (1995-2000), the real estate boom that followed (2000-2005), and even the cryptocurrency boom (2017). If you were on the front-end of all of these opportunities, you could have created massive wealth. But if you got in at the end, you had already missed the opportunity. We aren’t saying that the CBD Oil industry has enough potential to become a bubble, which is actually a good thing, but what we are saying is that it’s expected to reach as much as $22 Billion Dollars by 2022 and we can teach you how to cash-in on it! When the 2018 Farm Bill passes in the United States, and hemp-farming goes into mass production mode, you will start to see CBD Oil everywhere, potentially even sold in your grocery stores. Which is why the opportunity is RIGHT NOW to jump in front of this trend and take massive action to not let the Green Rush pass you by! 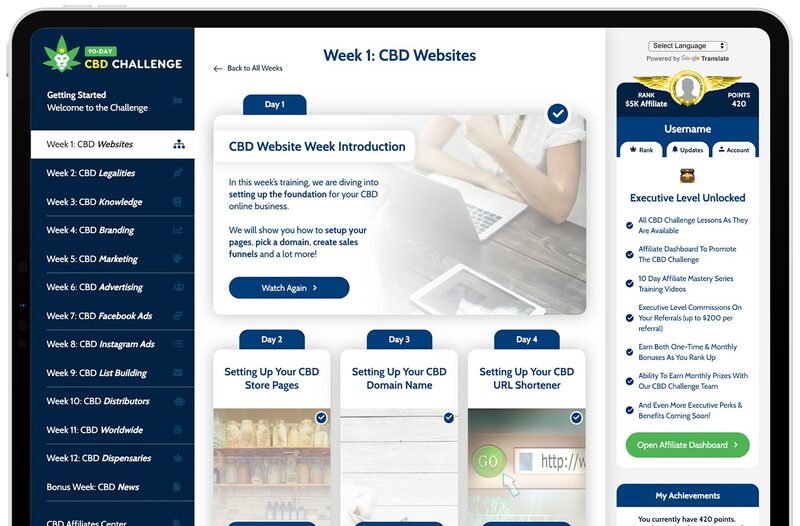 The 90-Day CBD Challenge is a FREE 12-Week program with a new video being released every day for 90 days straight, followed by a certification test when you complete the program. Join the CBD Challenge FREE! Our 12-week training program will teach you the fundamentals of setting up your own drop-shipping CBD Business. You won’t need any inventory, you won’t need to understand coding, heck, even a beginner could follow this training and learn how to cash-in on the green rush! * FDA AND LEGAL DISCLOSURE: These statements have not been evaluated by the FDA and are not intended to diagnose, treat, cure or prevent any disease. Most work-place drug screens and tests target delta9-tetrahydrocannabinol (THC) and do not detect the presence of Cannabidiol (CBD) or other legal natural hemp based constituents. Even though the products we promote contain less than .3% THC by dry weight (Federal Legal Limit), studies have shown that ingesting Full Spectrum CBD can cause confirmed positive results when screening urine and blood specimens. Accordingly, if you are subject to any form of employment drug testing or screening, we recommend (as does the United States Armed Services) that you DO NOT take CBD products. Before taking our products, consult with your healthcare practitioner, drug screening testing company or employer and see if they recommend a zero thc version of the cbd oil which is available for purchase. This website requires you to also be at least 18 years or older to promote our products and our system. * INCOME DISCLOSURE: Some members of our 90-Day challenge may choose to become affiliates to promote and earn income with our system. Our challenge is brand-new (12.10.2018) and as a result we do not yet have enough data to produce an average earnings disclosure for our affiliates. Some affiliates may earn no commissions, some may earn small commissions, and some may earn large commissions. The one thing we know for sure is that the results will vary. If you choose to join the 90-Day Challenge as an affiliate, we cannot guarantee your results in any way. However, we can provide you with quality training to help you learn online marketing strategies. What you choose to do with that information is up to you. There are no guarantees regarding the income from the MyDailyChoice/HempWorx opportunity. The success or failure of each Affiliate, like in any other business, depends upon each Affiliates’ skillset and personal effort. Earning levels for Independent Affiliates are examples and should not be construed as typical or average. Income level achievements are dependent upon the individual Affiliates business skills, personal ambition, time, commitment, activity, and demographic factors. Please see the official MDC Income Disclosure Statement here. * Cannabidiol (CBD) is a naturally-occurring constituent of the industrial hemp plant. The 90-Day Challenge does not sell or distribute any products that are in violation of the United States Controlled Substances Act (US.CSA). The company does promote hemp based products. * Our website is MDC Corporate Approved but this is NOT a Corporate Website. This is a website ran by Independent Affiliate ID# 1732135. © Copyright 2019 90-Day CBD Challenge - Powered by LifePreneur - All Rights Reserved.